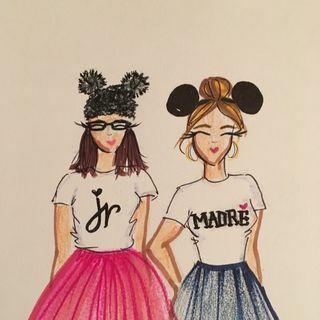 The 1st mother daughter podcast retelling the story of a teenage mom raising a teenager and building a clothing brand. Individual topics from how I became a teen mom at 17 on public assistance, to how I built a clothing brand alongside my now 16 year old daughter, and everything in between. Follow us on Instagram @JRMADRESHOW and let us know what topics you'd like us to cover! We all know that guy. Why we allow men in power to disrespect females. You break, you buy. Also, Do more. "We were supposed to go to college together." Jr's 1st Job, My Last Big Drop Off. A musical. A theft and a co-ed spring break camp. All the feelings.